Q: Is it important that I choose a contractor that is licensed by the State of Georgia for Residential/ General Contracting? A: Yes it is. By choosing a Licensed Contractor you can rest assured that that company has passed all the requirement that the State puts forth to qualify them for licensing. Learn more about Ga State Contractor Licenses. Q: Is it important that the contractor I choose have liability and workman's compensation insurance? A: Certainly. If something should happen to anyone on your property, that person would have the ability to file a law suit against you. If the contractor is insured, and has workman's compensation, and one of his employee's gets hurt on your job, the workman's compensation will cover him. Also, should an unforseen disaster happen, like a water line gets cut by accident, the contractors insurance will cover that cost of repairs. Q: What associations or affiliations do you have? All of these orginizations have a rigorous approval process that includes credit checks, leins & judgements, and complaints reconciliation. You need to be a top notch company to be approved by these orginizations. Q: I know that you can do Kitchens and Baths, but what other services do you have to offer? A: We are a full service contractor that will do 90% of the work by our own employees. We can do just about anything that you need done in your home. Fron kitchens to baths, from basements to electrical and Plumbing service work, we are here for you. A: We have been incorporated in the State of Georgia since 1997. Through good times and bad, we have been there. 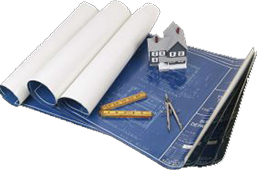 It is important to choose a contractor that will be around if something need to be fixed. We will be there for you. A: We are located in Loganville, GA, with a showroom that displays our work at 2653 Loganville Highway, Grayson, GA 30017. The showroon hours are from 10-6 Tuesday thru Friday and 10-3 on Saturdays. Please call ahead to verify that we are there, as sometimes we are out quoting jobs. The showroom can be reached @ 770-318-5996. Call Jeff @ 770-318-5071 to set an appointment. WE LOVE YOUR HOME AS MUCH AS YOU DO!